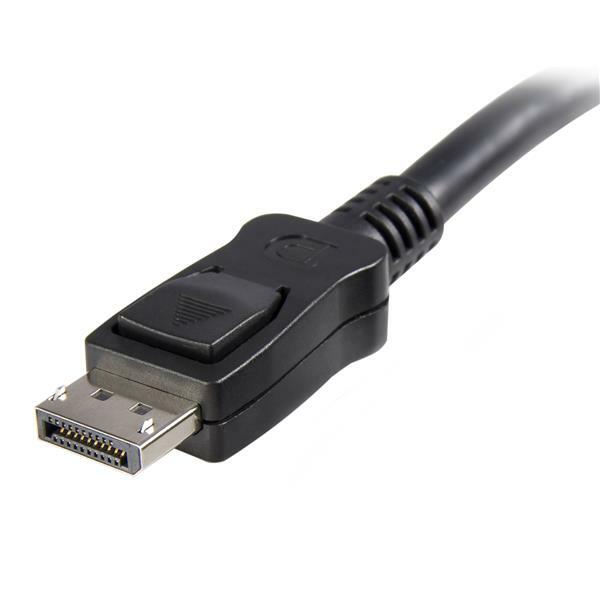 This DisplayPort cable provides a secure connection between your DisplayPort equipped devices and is capable of providing higher performance than either HDMI® or dual-link DVI. The DP cable supports high resolutions of up to 4K x 2K (4096 x 2160, 60Hz) with a maximum HBR2 bandwidth of 21.6Gbps, as well as optional audio support. The cable also supports Multi-Stream Transport (MST) for daisy chaining multiple monitors. 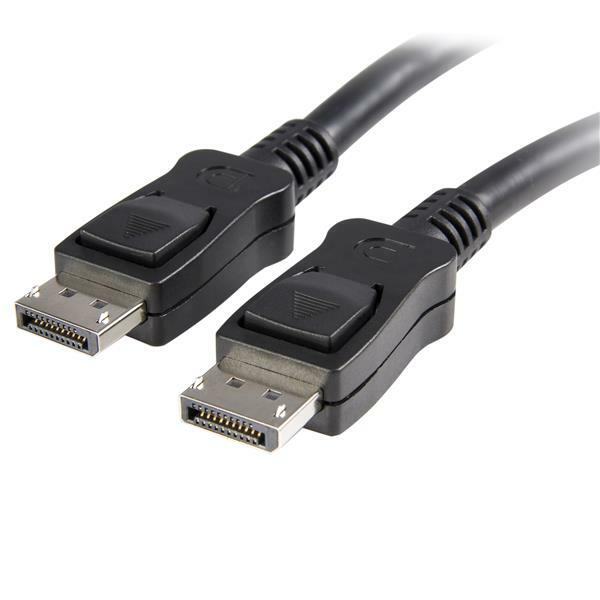 The 6-foot cable is DisplayPort (VESA) certified to support DP 1.2 specifications and ensure a high-quality, reliable connection for all of your DisplayPort devices. The DISPLPORT6L is backed by a StarTech.com lifetime warranty for guaranteed reliability and ensures that digitally protected content is displayed properly, with both HDCP and DPCP capability. Connect to your mini DisplayPort-equipped devices using a standard DisplayPort cable. Use the DisplayPort cable, video source, and video destination in another setup to see if the problem is with the components or the setup. Use a different DisplayPort cable, video source, and video destination in your setup to see if the problem persists. Ideally, you should test a component that you know works in another setup. Verify that the source resolution matches the capabilities of the video source destination. For example, if the destination is only capable of 1920 x 1080, then the source cannot output 2560 x 1600, as that exceeds the capabilities of the video source destination. Test at a lower resolution or a lower refresh rate, for example, 1024 x 768. The source is set up to output audio over DisplayPort. The destination volume has been raised.